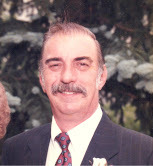 Ronald D. Marks, age 76 of Celestine, passed away at 1145P.M. Friday, July 13, 2018, Deaconess Midtown Hospital at Evansville, Indiana. He was born at Jasper, Indiana on May 29, 1942 to Edward and Anna (Bellner) Marks. He married Margaret Humbert December 31, 1960 at St. Celestine Catholic Church. Ron retired from JOFCO in Jasper and previously worked for Master Brands where he worked for 25 years. He is a member of St. Isidore Parish - St. Celestine Campus in Celestine, Celestine Community Club . He enjoyed hunting, fishing , grandchildren and great grandchildren. Four Grandchildren; Brandy Lemen, Ben Gessner, Hope Marks and Zach Marks. Brother, Joe Marks (Carole), Jasper, IN. Preceding him in death are infant twins sons, two brothers, Larry Marks and Bob Marks and sister Marilee Kreilein. Mass of Christian burial will be held at 10:00 a.m. Wednesday, July 18, 2018 at St. Celestine Catholic Church with burial to follow in St. Celestine Cemetery. Visitation will be held from 3-7 p.m. Tuesday at the Becher-Kluesner Downtown Chapel in Jasper.